Few agricultural endeavors are as complex as winemaking. And at the end of the process, one gets to enjoy a good glass. Site selection, grape variety, soil preparation, sunlight control, fermentation management, even the type of cork used all play important parts in producing fine wines. Wine grapes are grown in a pair of latitude bands along the Earth from 30-50 degrees North and 30-45 degrees South of the equator. Within these bounds can be found the famous Bordeaux region as well as the lesser known vineyards of New Zealand, where wine grapes have been grown since the 1800s. In whatever 'terroir' it takes place, many of the same concerns arise. A 'terroir' is a group of vineyards (or even vines) from the same region, belonging to a specific appellation and sharing the same type of soil, weather conditions, grapes. Good wine begins with good grapes and good grapes require the right soil and climate. Paradoxically, the best wines are produced from soil where few other crops would be considered worth planting. Too much nitrogen causes excessive leaf growth, too little produces unwanted amounts of sulfites. 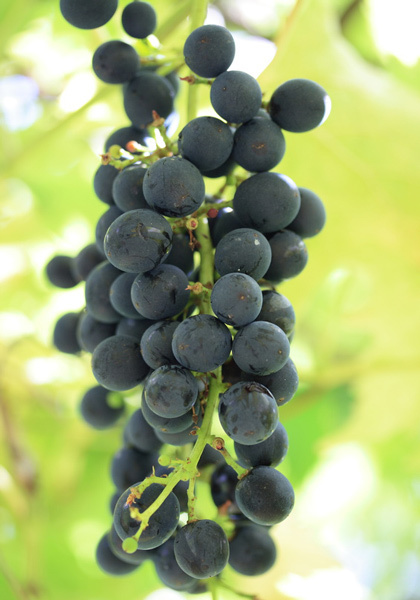 Inadequate potassium levels make plants weak in defending against disease and yields grapes low in sugar. The great Bordeaux wines are made from grapes grown in earth thick with gravel and pebbles, on a base of clay or chalk. The great Burgundies rely on grapes grown in acidic, granite soil atop a base of limestone. Plenty of rocks help ensure good drainage, as well as provide material for the absorption and retention of heat. Like any agricultural effort, good grape production depends on weather conditions mostly outside the vintner's control. 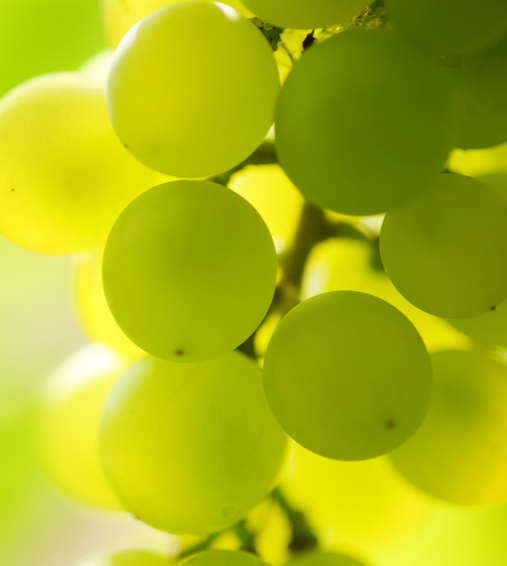 Plentiful sunshine is needed, but the best grapes grow in climates where the seasonal temperature varies within a 30°F (16.7°C) degree range. Amounts of rainfall, fog and mist play a part. Vines need access to consistent but not excessive amounts of water. Too much and the growth of mold, mildew and other diseases becomes unmanageable. A moderate amount causes the growth of deep roots that absorb the needed amount of complex minerals. 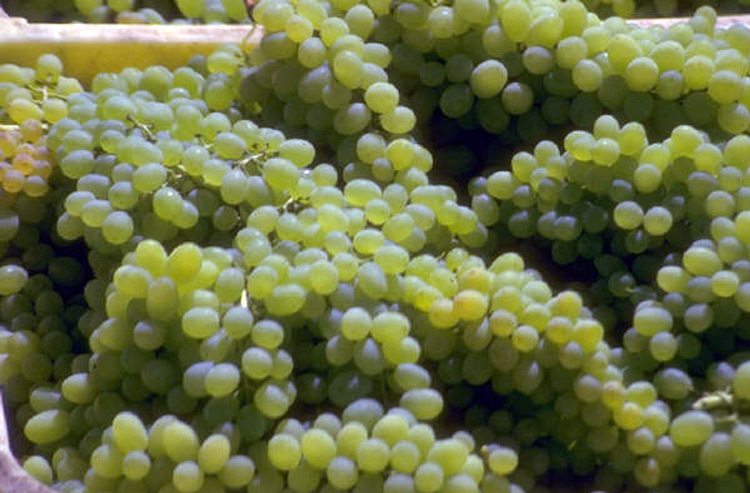 Grapes begin to bud around late March and develop fruit throughout summer (in the Northern Hemisphere). During this period, the grower adjusts water levels, chemical composition and amount of leaf growth which exposes the plant to more sun and encourages small but ample grape clusters. Much effort is expended to control pests and disease, until harvest around early October. As with any agricultural product, planting and harvesting vary depending on latitude, climate and factors chosen by individual growers. Though some vineyards have in recent years begun to use harvesting machines, the majority still hire large crews to pick the grapes by hand. Then, it's off to the crusher and fermentation vats — still a long way from your table, but given the best beginning possible.